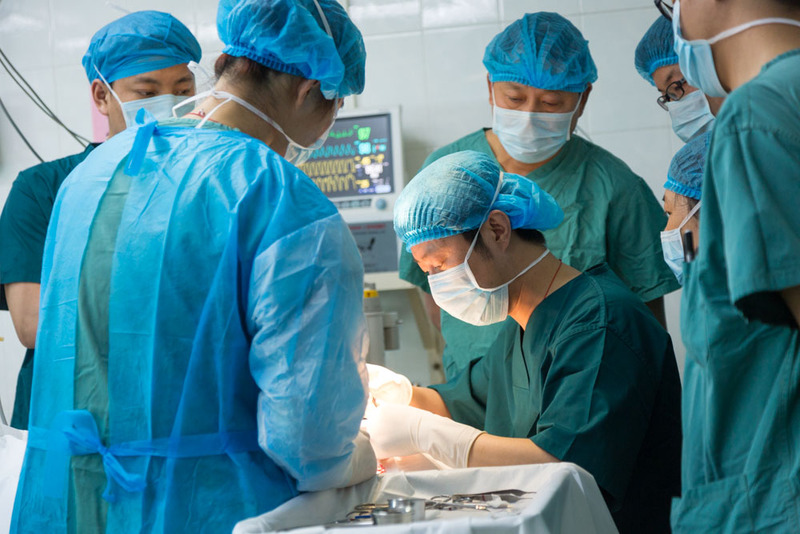 Beam International Foundation offers educational opportunities including scholarships, conferences, workshops, training and medical exchanges to Chinese medical professionals. Sir David Akers-Jones Training Scholarship aims to improve the quality of corrective surgery for facial deformity by training young plastic surgeons in China. The scholarships provides young Mainland surgeons with the opportunity to advance their skills in cleft lip and cleft palate surgeries during a six-month resident training program in a world class facility under expert supervision. Upon completion of the training, the awardee is required to pass on the skills he / she had learned at his / her parent hospital and is expected to volunteer actively to change the smiles and lives of those underprivileged suffered from cleft condition in the remote areas in China. The scope of the scholarship application has been extended to pediatricians and anesthesiologists in recent years. In partnership with Zhejiang University and with the support of the Ministry of Health in China, Beam is dedicated to enhancing the professional skills of our volunteer doctors and nurses through various programmes including Pediatric Advanced Life Support (PALS), Advanced Cardiac Life Support (ACLS) and Basic Life Support (BLS) training. Outstanding medical volunteers are provided with opportunities to attend specialty courses and training overseas, to share knowledge and learn from the best medical professionals in the field. These volunteers are also offered the chances to join overseas missions.